In my last post, I mentioned that I shall be posting each and every real estate foreclosure listing that I would get my hands on onto this blog. 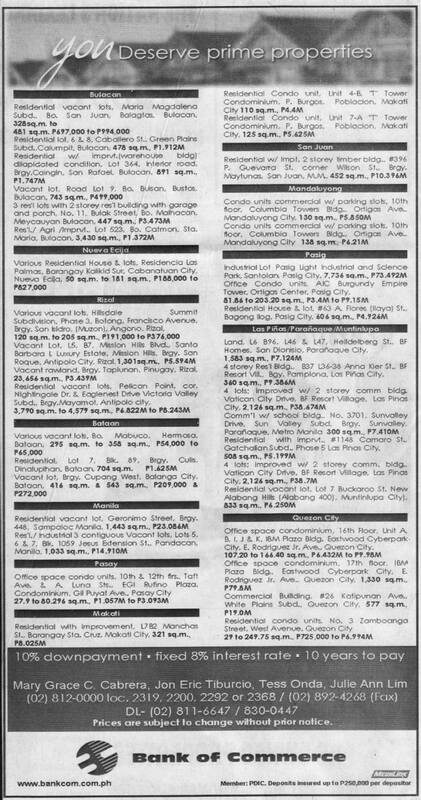 As promised I am sharing this listing of prime properties from Bank of Commerce which was in the January 11, 2009 issue of Manila Bulletin. The ad describes properties in this list as prime properties. What’s good about this listing is that only 10% downpayment is required, with fixed 8% interest rates, and up to 10 years to pay. Download the January 11, 2009 Bank of Commerce listing of acquired assets for sale here. As of this writing, I also found about 1000 properties listed in their website which includes Metro Manila, Quezon City, Luzon, Visayas, and Mindanao property listings. You can download these listings by visiting this page on their website: http://www.bankcom.com.ph/propertylisting.html. With the large number of properties available for sale, you just might find your first real estate investment property. If you are interested in any of the properties listed, you may contact Bank of Commerce directly using the contact details listed on the bottom of the listings. 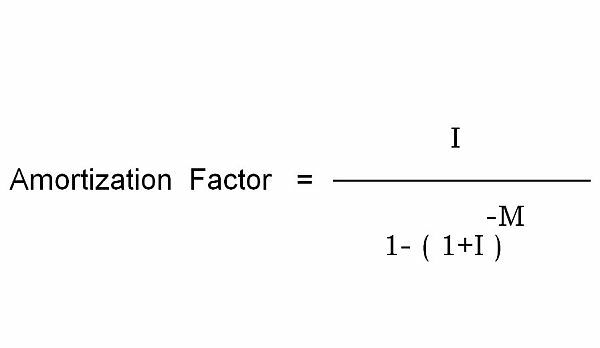 By the way, when you subscribe through e-mail , don’t forget to confirm your subscription by following the instructions in the activation e-mail from feedblitz@mail.feedblitz.com. If you can’t find it, please look in your spam/bulk mail folder. Otherwise, you won’t get notified of any new listings. Mailbox getting full? You may also subscribe via RSS.